Nick Cannon returned to his roots on Wednesday night, hosting the annual Make-A-Wish Greater Los Angeles Gala where Nickelodeon, the network the launched the star’s career, was honored. Partnering with the charity, which makes a dream or “wish” come true for children with critical illnesses, has allowed Cannon to reflect on his own health struggles and battle with lupus, which he was diagnosed with in 2012. 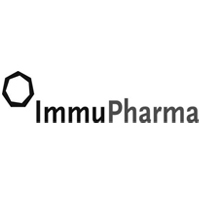 Few AIM-listed drug development companies have late-stage clinical assets in the pipeline, ImmuPharma plc (LON:IMM) is an exception. The Company’s lead compound, Lupuzor™, a potential treatment for Lupus, has completed Phase 3 trial of dosing patients across the US, Europe and Mauritius with top line results announced.